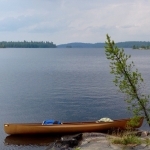 Canadian Canoe Routes • View topic - Jeffstopos gone?? Just tried to download a few free .tif files, and got 404 server not found on all of them. Sad. Hopefully this is temporary. I saw the other recent post about someone leaving them. The requested URL /pub/canmatrix2/50k_tif/076/g/canmatrix2_076g16_tif.zip was not found on this server. Post subject: Re: Jeffstopos gone?? To clarify my post, the website jeffstopos.com is still there. However links to the free downloads are gone. They were working a couple of days ago. Any ideas? Interesting. I can download the Algonquin Wall Map ( jpg) but when I went to download Rossport I ran into the same empty .tif file too. It looks to me like the source data is what is gone. Jeff didn't create or store these maps. The Jeffstopos.com website just pointed to the maps on the federal Governments Geogratis FTP server. I guess either the server is down, or the location of the files has been moved. 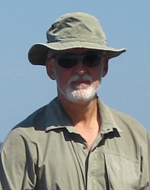 unfortunately, Jeff is no longer with Jeffs Maps so he can't update us or (if necessary) the site. My bookmarks to the nrcan site are broken as well. There is a redirect page and poking around it looks like they did some reorganizing in mid-November. I have four of Jeff's topos on Avenza. There is an option to email map files which I found here, although I have never used this option and do not know if it will be successful. It would seem a government reorganization of their website (as recped suggested) is the reason for the dead link. Inserting old_ in front of cantopo will make the url work. Is it worth all the bother? Maybe not! Whoever runs jeffstopos these days will hopefully update the links (s)he is using so that they work again. I really liked how visual and easy Jeff made a topo map search and download. I made a point of providing links to Jeff's site and various maps in my various trip reports. Lately I've been revisiting the posts and deleting the references to Jeff's maps and making sure that the government website links are up and working. That is always the pain in providing links - you don't have control over them! They come; they go! It appears Jeff is back. I ran into this post elsewhere but thought I would bring it to this group. It sounds like an improved product and new areas. I'm pretty darn late to the game, but hey, better late than never? @MartinG - Yea. I was going to mirror them, but after thinking about it I figured there was no point. I had a complete backup of all of them anyhow, so even in the worst case I figured I could just step in at a later date and host them if need be. FYI I did host all of the web viewers on the site itself, so they should be there as long as the site. @true_north - Thanks so much for the kind words . I was really proud of that site. In my mind's eye that's exactly how things should've worked and, well, if no one else would make it then I figured I would, haha! I really appreciated all your support with the links by the way. I wish they could've lasted in perpetuity - that was the plan of course! Not sure of the exact reason why, but Jeff left Jeff's Maps lover a year ago. However, he is now a partner in a new camping map company called UNLOSTIFY.